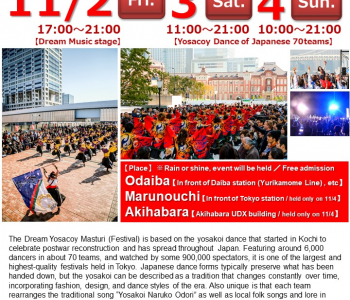 The Dream Yosacoy Festival is based on the yosakoi dance that started in Kochi to celebrate postwar reconstruction and has spread throughout Japan. 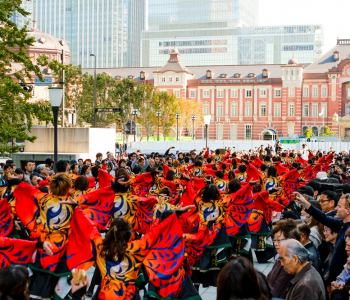 Featuring around 6,000 dancers in about 70 teams, and watched by some 950,000 spectators, it is one of the largest and highest-quality festivals held in Tokyo. 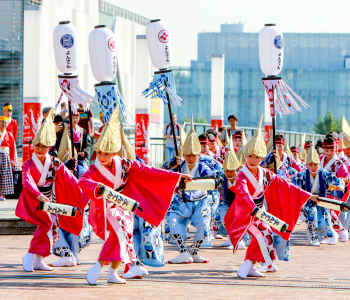 Japanese dance forms typically preserve what has been handed down, but the yosakoi can be described as a tradition that changes constantly over time, incorporating fashion, design, and dance styles of the era. 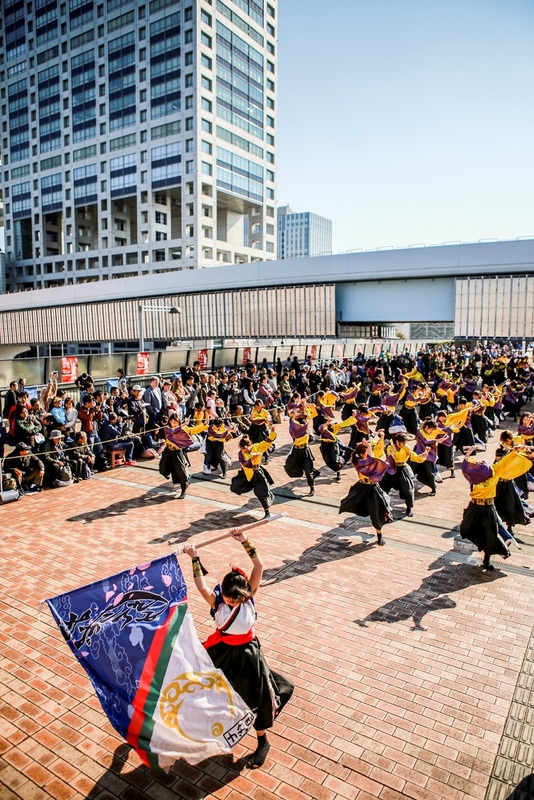 Also unique is that each team rearranges the traditional song “Yosakoi Naruko Odori” as well as local folk songs and lore in rock and samba styles, and is free to create its own dance steps, hairstyle, and costume. 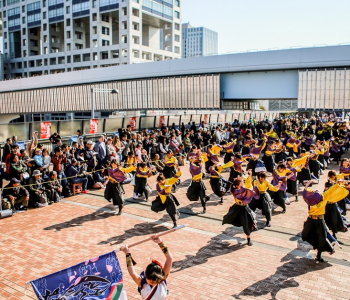 Perhaps it’s this flexibility that inspires the sensitivities of the dancers and appeals to the viewers. 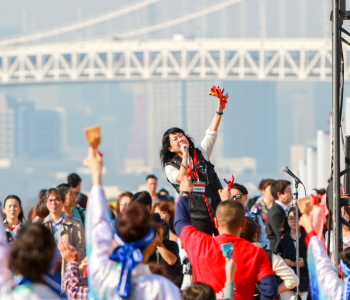 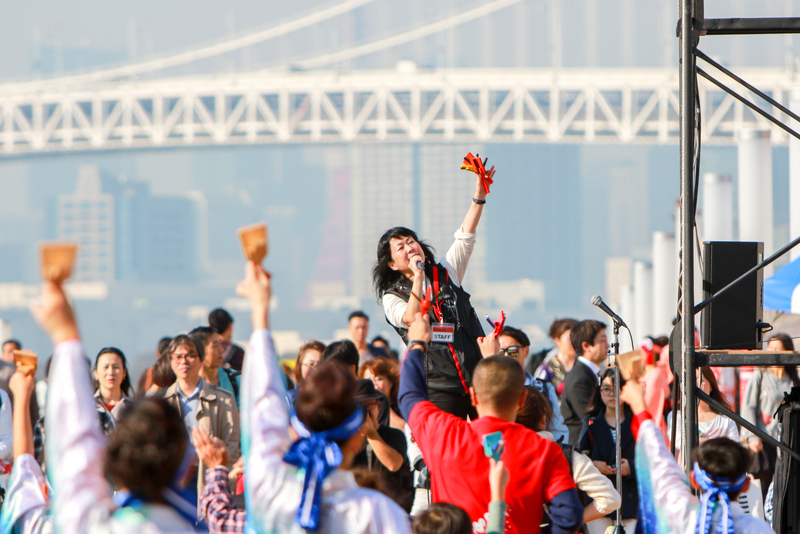 This year, the festival expands to venues at the Odaiba, the food booth area, and various performances are planned as additional attractions. 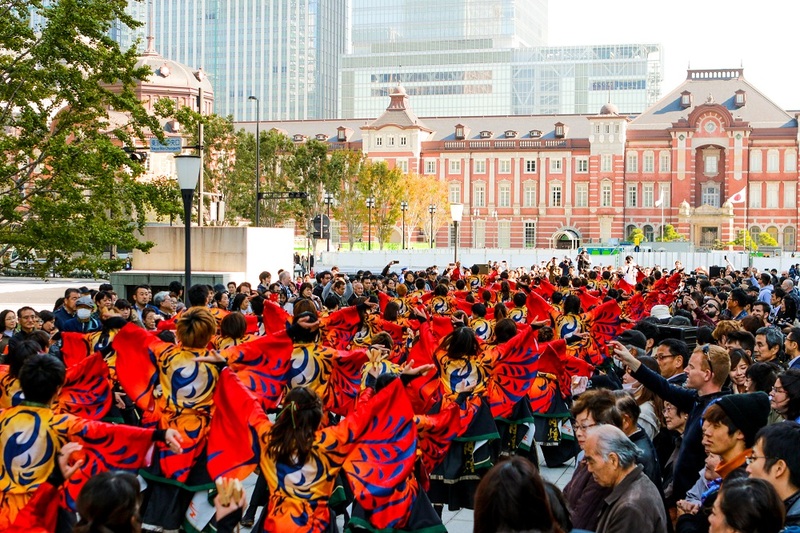 (In front of Daiba station, Yurikammome Line) At the Marunouchi venue, the highlight this year is the dance performed against a backdrop of the renovated red brick building of Tokyo Station. 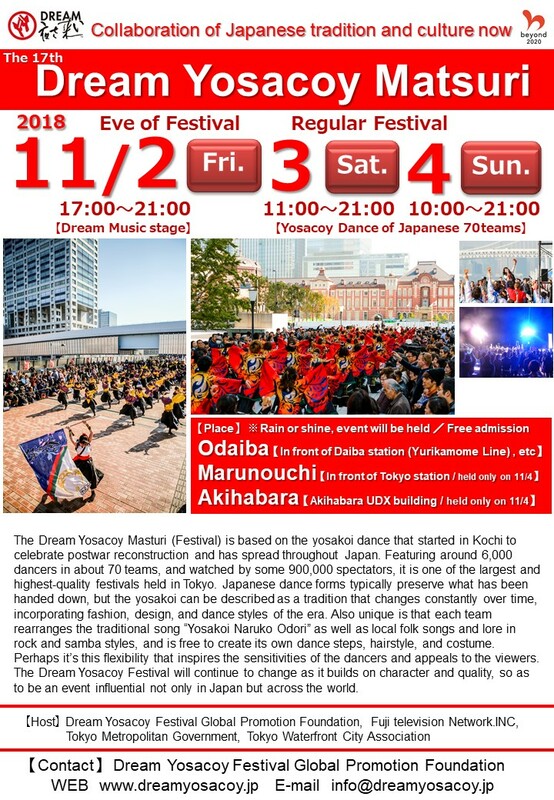 The Dream Yosacoy Festival will continue to change as it builds on character and quality, so as to be an event influential not only in Japan but across the world. 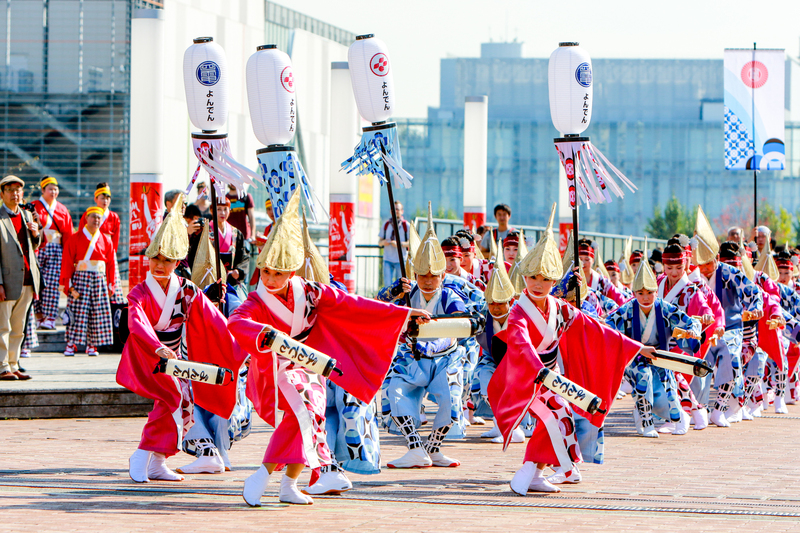 This is a festival where you can experience Japanese tradition and Japan now.